When you need to ease those troublesome cold and flu symptoms like headache, blocked nose, fever, body aches and sore throat, trust Lemsip Max Cold & Flu. This zesty flavoured drink should soon help you feel better and feeling more able to get on with your day. It's convenient too, as it takes less time to make a soothing Lemsip Max hot drink than it does to make a cup of tea. 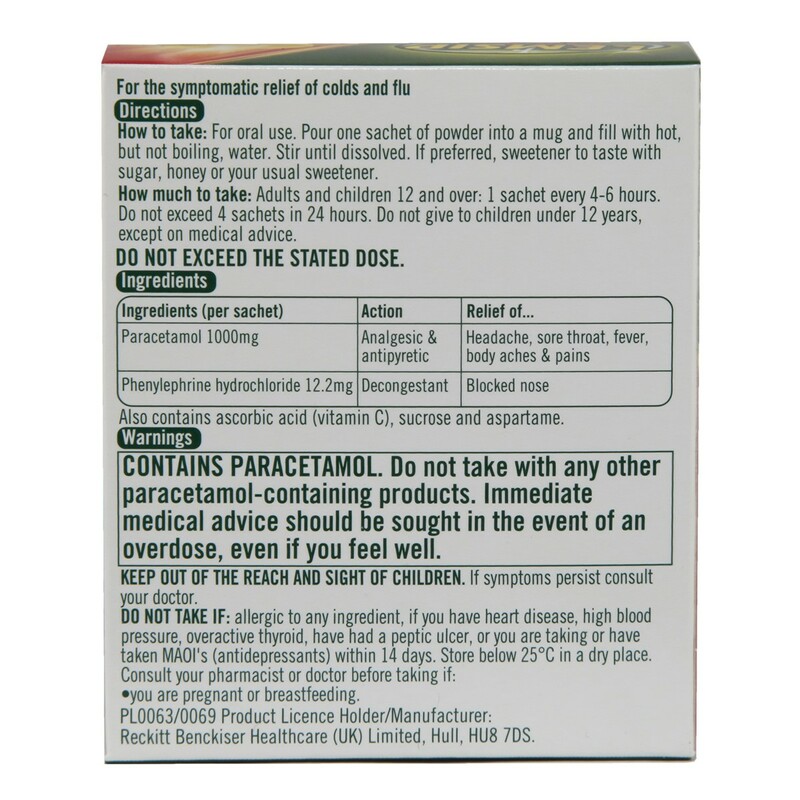 Contains:Pseudoephedrine Hydrochloride 60mg, Paracetamol 1000mg. Pour one sachet of Lemsip Max Cold & Flu Lemon into a mug and fill with hot, but not boiling, water.Stir until dissolved.If preferred, sweeten to taste with sugar, honey or your usual sweetener. Adults and children 12 and over: 1 sachet every 4-6 hours. Do not exceed 4 sachets in 24 hours. Do not give to children under 12 years, except on medical advice. 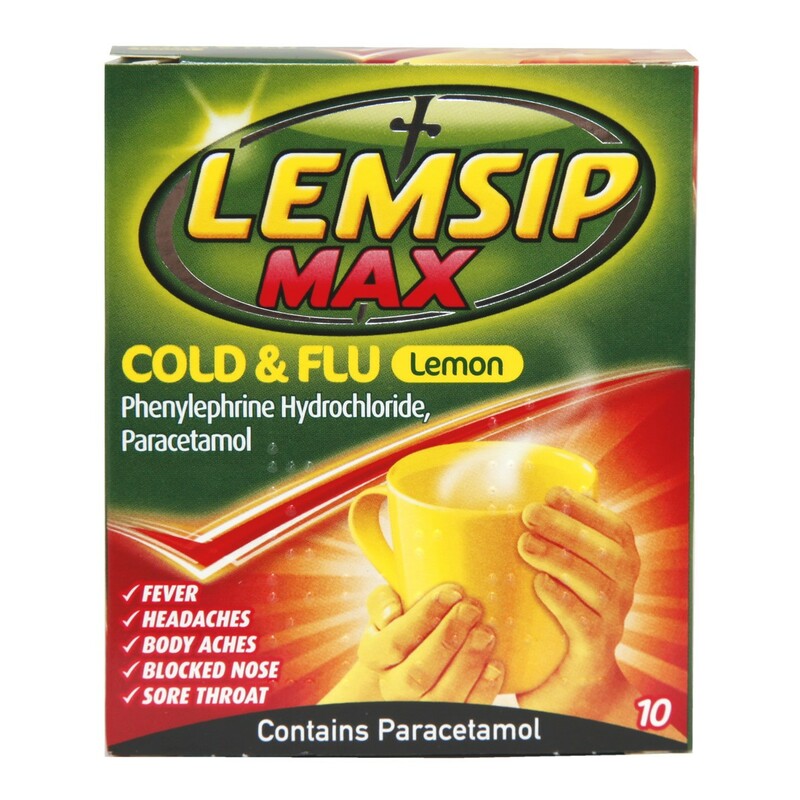 Thank you for your interest in Lemsip Max Cold & Flu Lemon. Enter your email and we'll contact you as soon as it's available again.